General Charles C. Krulak, former commandant of the Marine Corps and a member of the Joint Chiefs of Staff has agreed to serve on the Advisory Committee of Strength for Service Corporation. A 35-year veteran of the Marines, Krulak commanded a platoon and two rifle companies during two tours of duty in Vietnam and then held a variety of command and staff positions. These included deputy director of the White House Military Office; Commanding General, Sixth Marine Expeditionary Brigade during Desert Storm; Commanding General, Marine Corps Combat Development Command; and Commanding General, Marine Forces Pacific. Upon his retirement from the Marine Corps, General Krulak joined MBNA America Bank as chairman and chief executive officer of MBNA Europe Bank, Ltd. After four years in this position, he returned to the United States and served as vice chairman, MBNA America Bank as head of corporate development, mergers and acquisitions. He retired from MBNA in June, 2005. 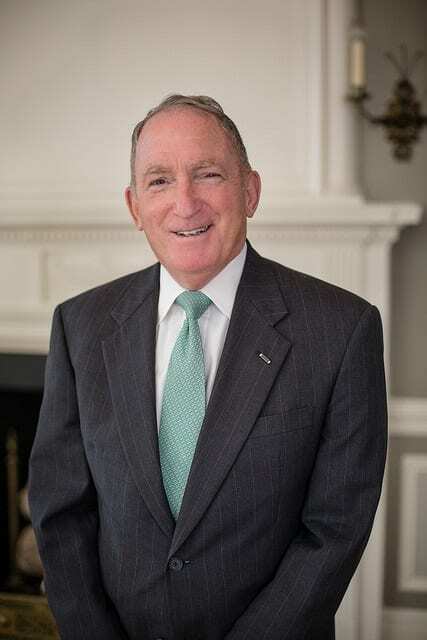 General Krulak was introduced as president of Birmingham-Southern College on March 21, 2011, and retired from that post June 30, 2015. In his first year on campus, he raised $12.5 million for the college and put the school’s budget in the black. In addition, he currently sits on the Board of Directors of Freeport-McMoRan Copper & Gold Corporation and on the Board of Directors of Union Pacific Railroad Corporation. He sits on the Board of the CEO Forum and serves as a director with Aston Villa Football Club in the United Kingdom. He is an adviser to the Center for Naval Analysis and Human Rights First, and he is a member of the Council on Foreign Relations. General Krulak was a standout wrestler at the U.S. Naval Academy and at Phillips Exeter Academy in New Hampshire. He earned induction into the National Wrestling Hall of Fame in 1996. Following graduation from the Naval Academy, he received a master’s degree in labor relations from George Washington University. General Krulak and his wife of 51 years, Zandi, have two sons and five grandchildren. Members of the Strength for Service non-denominational Board of Directors are pleased to welcome General Krulak to the Advisory Committee.